Now that the leaves are falling and we are moving into cooler weather, it is a good time to plan visits to the local regional library. The reason is that every library has different genealogy collections. 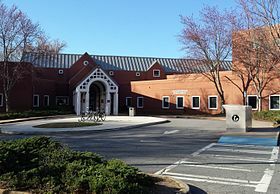 Cobb County Switzer Library in Marietta has the best collection in North Georgia. It includes microfilm of census and miscellaneous county records for Georgia, South Carolina, Delaware, Virginia and North Carolina. Also, a vast collection of old newspapers. In many respects it far surpasses the Internet collections. As an example, they have a book collection of all the wills in Philadelphia, dating from 1600s! Cobb County has an excellent budget for genealogy and the Scan Pro, the best microfilm reader on the market! If you have any old microfilm, this is a good place to donate it.